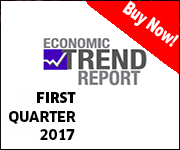 Beginning in September 2014, the Cuba Standard Economic Trend Report (subscribe here) includes its own economic activity index, taking the monthly pulse of the Cuban economy. It is exclusively available to Gold Membership and Economic Report Only subscribers. The objective is enabling the nowcasting of the island’s economic situation, using an independent measure, thereby filling the information deficit and the lack of clear signals about the state of the economy in the course of the year. The new Index makes it unnecessary to wait until partial GDP growth information is announced twice yearly, in the sessions of the National Assembly, or to depend on the reports and yearbooks the National Information and Statistics Institute (ONEI) publishes with much delay on its website. 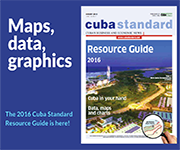 The Cuba Standard Economic Trend Index allows the anticipation of Cuban GDP growth statistics and offer an up-to-date signal to investors (and other interested organizations) about the state of the Cuban economy. Around the globe, a large number of countries count on this type of indexes that anticipate the official release of quarterly GDP figures. They are usually built by universities, research centers, consulting firms, central banks and private financial institutions. In all cases, the variables that make up the index are based on data by the statistics office of the respective country, on manufacturing, employment, consumption, personal income, confidence indexes, among others. In the case of Cuba, this would be impossible, due to the insufficient and lagging information released by ONEI. From ONEI, the Cuba Standard Economic Trend Index only takes monthly Visitor Arrival statistics to gauge the export of tourism services. The remainder of ONEI reports, on agriculture, manufacturing, farmers market sales, and on investments, have delays of more than six months, and the historical series are incomplete, which is why they can’t be used in the index. To get around this problem, we are basing ourselves on the following strategy. On the one hand, we have a number of studies that demonstrate the validity for Cuba of the focus on economic growth constrained by the balance of payments. In other words, the Cuban GDP trend has a proven high correlation with variables of the balance of payments: Exports, imports, terms of trade, and external financing. On the other hand, although Cuba doesn’t publish monthly information on trade, the main trade partners do report monthly data on exports and imports with Cuba. So we are using data from trade partners as a mirror of Cuban export and import statistics. Also available are up-to-date statistics on international commodity prices, allowing us to make estimates of the terms of trade. In addition, it is feasible to count on some proxy variables to estimate real external financing. This way, we complete the four categories of series we need. Additionally, we incorporate a fifth category that approximates Cuba’s dependency on Venezuela — the monthly trade exchange between the two countries. So, the theoretical and empirical framework of the balance-of-payments constraint growth, plus the mirror information of Cuba’s foreign trade, as well as other international data, allowed us to make use of the first ever economic activity index that has been estimated for the Cuban economy. 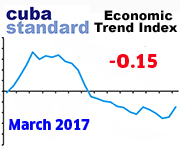 In total, the Cuba Standard Economic Trend Index counts with 28 variables taken on a monthly base from January 1998 to the present. It includes information on real exports and imports of the 10 leading trade partners, it retrieves data on nickel, sugar, oil and food prices, and it approximates real external financial flows, as well as the dependency on Venezuela. The Kalman Filter econometric technique used in the index allows estimating a common component of the evolution of the 28 variables. The method makes it possible to separate the idiosyncratic (particular) movement of each series from the common component of all series. This signal contained in the combination of the 28 variables draws together the state of the economy every month, making up the Cuba Standard Economic Trend Index.